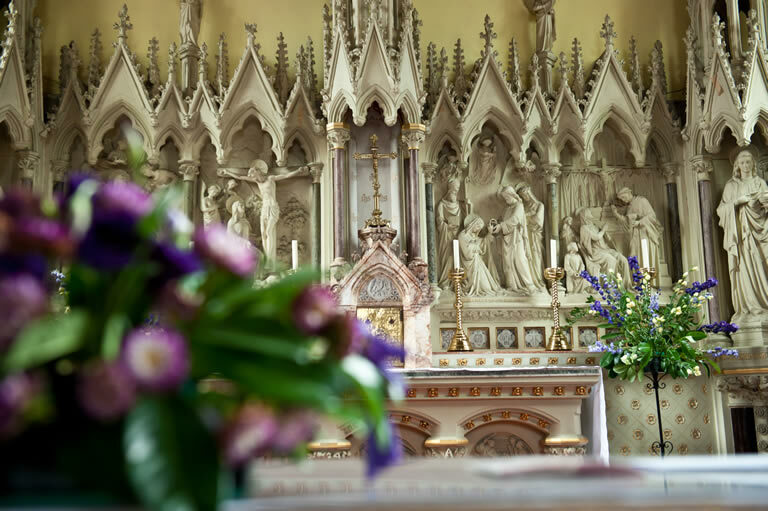 St Thomas More is a thriving and vibrant parish, with a diverse congregation of around twelve hundred families. There is a wide variety of groups and activities which reflect our shared faith and we have close links with our local primary school, St Anthony’s, which is situated on Etherow Street. We are within the Deanery of Camberwell and the Archdiocese of Southwark and the church and parish centre are set in beautiful grounds on Lordship Lane, next to the Library and near the junction with Barry Road. Each of our Sunday Masses has a flavour of its own, with music at 10.00 and 12 noon, plus a children’s liturgy group and a crèche during the 10.00 Mass. Our young teenagers are taking small steps into church music and often lead one or two hymns at the Sunday evening Mass. Tea and coffee is served in our parish centre after the 8.30 and 10.00 Masses, so do come along and meet up with your fellow parishioners. We have a reasonably sized car park but we remind all parishioners and visitors to park sensibly. There is wheelchair access at the side of the church, which is also fitted with a loop system for the hard of hearing. Welcome to our parish website. We hope you will be able to access the information you need; if not, do please, email or telephone us.